July 10, 2012 - Air Lease Corporation (ALC) announced an order for 60 LEAP-1B-powered Boeing 737 MAX 8 and 15 737 MAX 9 aircraft. The engine order is valued at approximately $1.9 billion U.S. at list price. Air Lease Corporation (ALC), formed in 2010, specializes in purchasing commercial aircraft and leasing them to its airline partners worldwide through customized leasing and financing solutions. "We are pleased that ALC has chosen to add the LEAP-1B to its growing portfolio of CFM engines," said Jean-Paul Ebanga, president and CEO of CFM International"
"We look forward to continuing to build a strong relationship with ALC and are excited to bring all the benefit of LEAP technology to their customers," said Kevin McAllister, vice president of Global Sales for CFM parent company GE Aviation. As a result, operators of the 737 MAX will achieve 10 â€“ 12 percent lower fuel burn compared to today's best CFM56-powered 737; an equivalent reduction in carbon emissions; a 50 percent reduction in NOx emissions versus current ICAO CAEP/6 requirements; a 75 percent reduction in the aircraft noise footprint; all while maintaining the benefits of CFM's legendary reliability and low maintenance costs. 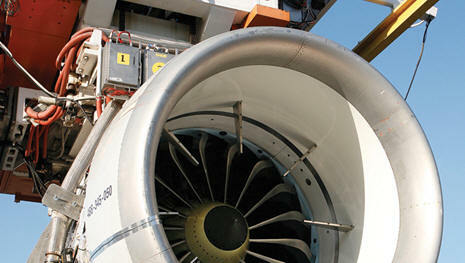 LEAP engines are a product of CFM International a 50/50 joint company between Snecma (Safran group) and GE.